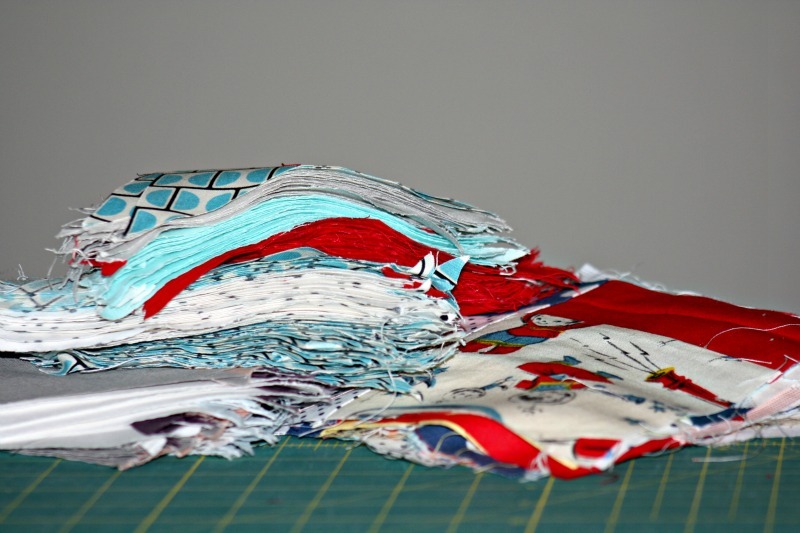 Recently I was lucky enough to receive a huge bundle of quilting scraps from Sarah. Despite my own scrap bucket spilling over, I was more than happy to have some new prints and colours. 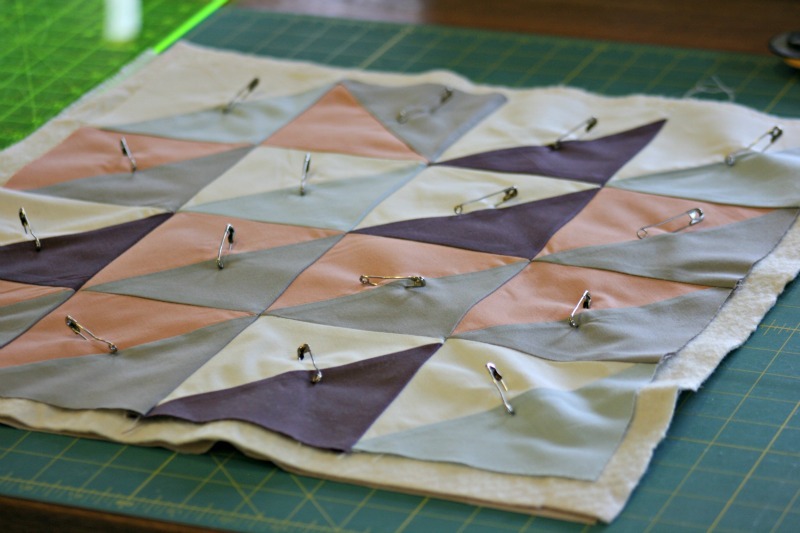 Sewing has not been a high priority lately but I figured half the work was done with these lovely triangles. It has some dark denim on the back and I very pleased to say I made three buttonholes on the back. hahha my very first buttonhole ;) I read those instructions with gusto and had a practise on some scrap and the rest is history. Yep! I am pretty pleased with myself. Have you mastered any new skills lately? Do you loathe reading instructions too? Ick! did I scare you off the zipper method?